RAMALLAH, West Bank, Jun 8 2015 (IPS) - Three Palestinian fishermen were injured last week after Israeli naval forces opened fire on fishing boats off the coast of al-Sudaniyya in the northern Gaza Strip, bringing to 15 the number of farmers and fishermen shot and injured by Israeli security forces recently as they attempted to earn a living. The Israeli navy limits Gaza’s fishermen to a three nautical-mile zone off Gaza’s coast. However even fishermen within that zone have come under fire and been shot, injured and killed or had their boats destroyed or confiscated. 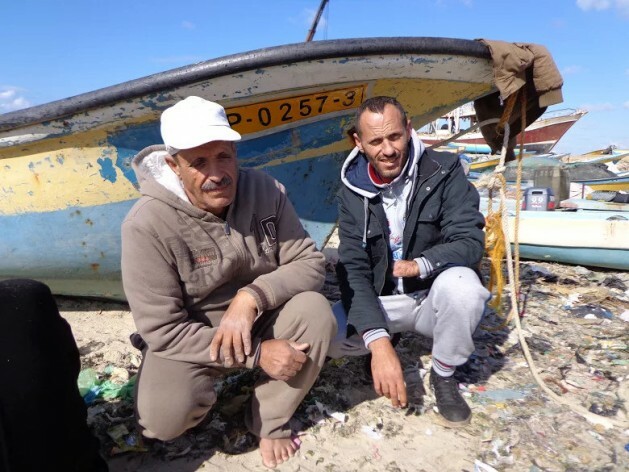 As most of the shoals are further out to sea, Gaza’s fishing industry has been decimated and thousands of Gazans deprived of a living and unable to support their families. Gazan farmers trying to access their agricultural fields within Israel’s 500 metre to 1 km buffer zone next to Israel’s border are also regularly shot and injured, and sometimes killed. Gaza’s decimated economy has been further damaged by Israeli limits on Gazan exports to two of its biggest markets, the occupied West Bank and Israel. Agricultural produce and manufactured goods used to underpin the coastal territory’s economy before Israel and Egypt enforced the Gaza blockade. After last year’s war between Hamas and Israel, one of the conditions for a ceasefire was the easing of the blockade. While Israel has allowed some goods to be exported from Gaza, this is insufficient to rejuvenate its economy. Analysts and political commentators have repeatedly warned that Israel’s continued siege and restrictions on Gaza could destabilise the region further, leading to more violence and possibly a new war. A report on the situation by the Ad-Hoc Liaison Committee of the Office of the Quartet Representative was released after a meeting in Brussels on May 27. “Over a year on from the breakdown in talks between Israel and the Palestinians, there is still no tangible political horizon in sight,” stated the report. The report outlined how the removal or reduction of Israeli restrictions on Palestinian movement, trade and access remained essential to securing economic growth. Employment in Gaza and its economy would be boosted by Israel easing the blockade while the private sector would be strengthened. These in turn would reduce tensions and contribute to Israel’s security needs. The failure of Hamas and Israel to reach any agreement is further aggravated by the stalemate within the Palestinian unity government due to the inability of Hamas and Fatah to reach consensus on jointly governing Gaza and the West Bank. 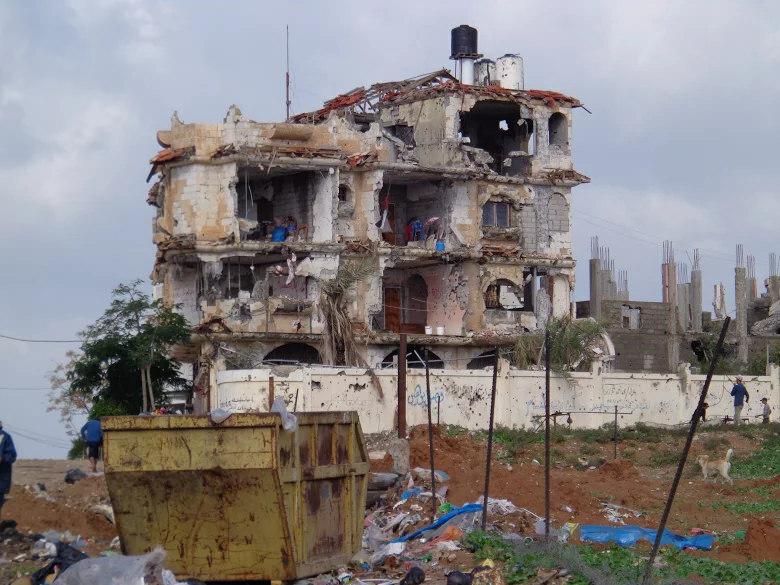 The rivalry between the two groups has delayed international aid, without which no reconstruction, redevelopment and economic growth in Gaza can take place. The Office of the Quartet Representative pointed out five development areas that need to be focused on to improve the situation in the ground – an effective Palestinian government, movement and trade, reliable infrastructure, investment and sustainable land usage. Meanwhile, Israel is continuing with new plans to relocate thousands of Bedouins in the West Bank and Israel after the move received the green light from Israel’s Supreme Court. Some 7,000 Bedouins from the central West Bank, most of them situated east of Jerusalem, and 450 in southern Hebron will be “relocated” by force. The forced removals have been accompanied by coercive measures such as the demolition of buildings and infrastructure on the grounds that they were built without permits, according to the U.N. Office for the Coordination of Humanitarian Affairs (OCHA). However, in area C of the West Bank, which comprises 60 percent of the territory, very few permits are issued by Israel’s Civil Administration, which controls the West Bank, because most of the land has been appropriated for Israeli settlement expansion. “The Bedouins and herders are at risk of forcible transfer, a grave breach of the Fourth Geneva Convention, as well as multiple human rights violations,” said U.N. Secretary-General Ban Ki-Moon. Bedouins in Israel’s Negev settlement within the ‘Green Line’ can also be forcibly relocated after the Israeli court rejected their appeal to be allowed to stay. “This court is not the address for creating chaos,” stated Justice Elyakim Rubinstein recently in rejecting the appeal of Bedouin residents of the unrecognised Negev settlement of Umm al-Hiran, reported the Israeli daily Haaretz. In the ruling, Rubinstein noted that the residents – who are slated to be evicted, and whose houses are to be demolished to make way for the construction of the Jewish town of Hiran – have been living in this place for 60 years, after moving to the Nahal Yatir area in 1956 at the orders of the military governor, and that the eviction and demolition of the 50 or so structures they built will affect the lives of hundreds of people. Despite this, the judge said he believed that the eviction was reasonable and proportional due to the fact that the land in question was owned by the state and that buildings were erected without permits. However, the Umm al-Hiran residents argued that they were the victims of discrimination and that their property rights were being infringed. Jews were able to obtain property rights to land on which they had settled but the Bedouins’ right to land on which they had settled was never formalised. They are limited in the distance they can go out to because of numerous attempts to smuggle in weapons and drugs coming from Lebanon and dropped off into the ocean for them to be picked up by these “peaceful” fishermen..
That is correct, Area C is Jewish land not occupied by Arabs and should be annexed to the Jewish state IMMEDIATELY if not sooner as Bennett has proposed for years. The League of Nations in 1922 said that ALL wastelands and state lands belong to the Jews for resettlement! That was international law passed by the Council of the League of Nations way back in 1922, and remains in effect! Most Bedouins came to the Negev from Arabia back in the 18th century and they not “indians” who lived and hunted bison in North America for thousands of years! They must be restricted to reservations the same way “indians”were, or else face expulsion from the Jewish state back to Arabia. And there are ten times as many Bedouins today as there were in 1948, and my deceased mother in law delivered 15,000 Bedouin babies in Soroka hospital in Beersheba as a midwife ob/gyn.